The island of Lombok might be best known for the 3 Gili Islands off its northwest coast, but there is plenty to see on the mainland as well. 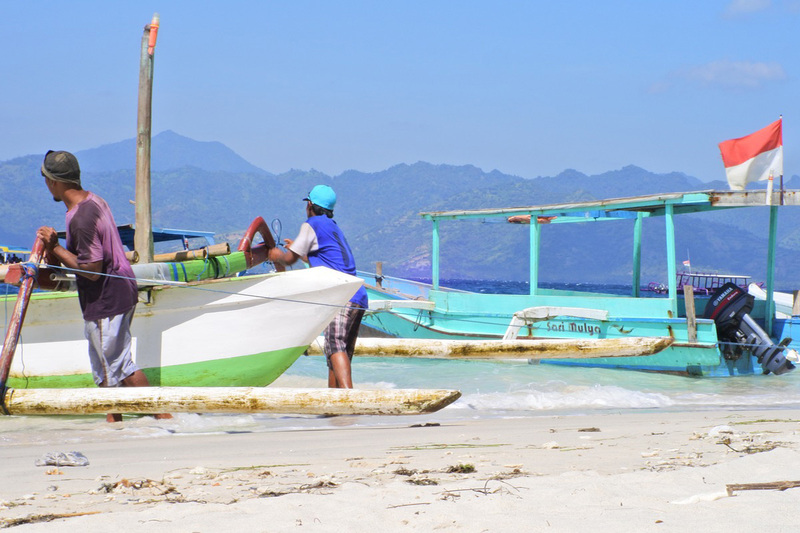 Much less populated than Bali, Lombok is full of natural beauty and cultural sights. Even if you are staying on Gili Trawangan, it is easy to see some of Lombok as well. The mainland of Lombok is just about 15 minutes by boat from the main jetty on Gili Trawangan and Villa Almarik is a short walk to the jetty. You can easily get on a boat in the morning and be back before sunset when the boats stop crossing between the mainland and Gili Trawangan. North Lombok is extremely scenic and much less populated than Bali. Take a scenic drive through the national park in the foothills of Mount Rinjani. This lush area is home to monkeys, beautiful birds and a wide variety of insects. If you are a nature lover, you’ll see more incredible creatures in their natural environment than you could even imagine. 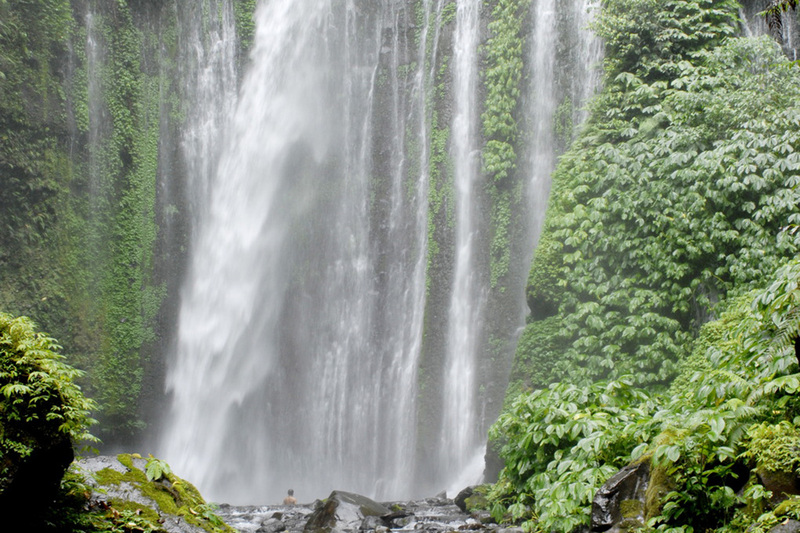 There are also a number of gorgeous waterfalls that spill with fresh, clean water from the slopes of Rinjani. Have a swim to refresh and cool off before heading back through the park. 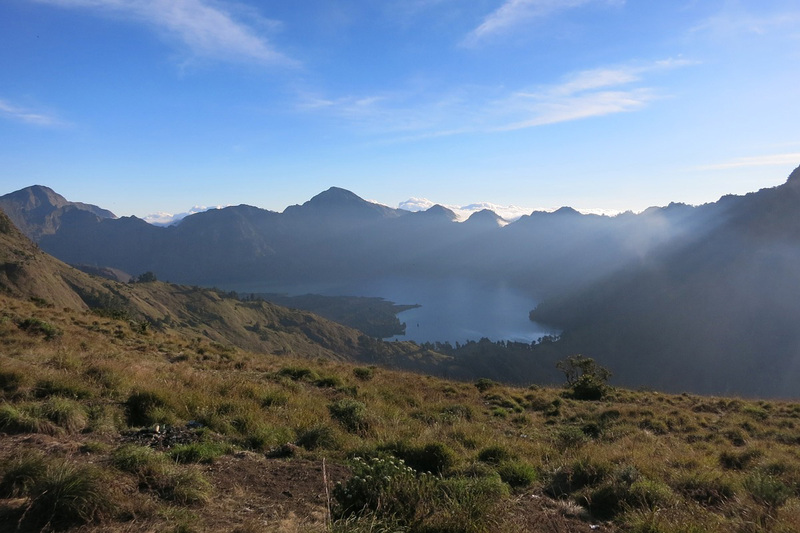 Although the hike to Mount Rinjani’s summit is a 2-day trip, you can still hike a few hours in the park if you only have a day. You can easily take a half-day trek in the Senaru area. On a walk like this you’ll see rice terraces, traditional villages and with the right guide some beautiful waterfalls. 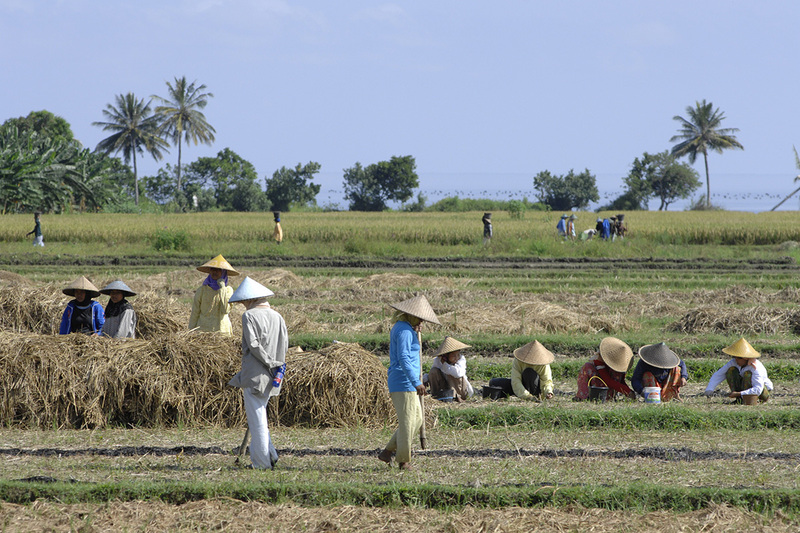 The local people from Lombok are from the Sasak and make up about 85% of the island’s population. They are related to the Balinese, with a similar language and ancestry, but the Sasak are predominantly Muslim instead of Hindu. Many Sasak villages welcome tourists to visit and see their traditional arts like making earthenware pots and weaving beautiful textiles. Some villages are very touristic, but it is also possible to find villages where people still live and work as they have for many generations. Around the slopes of Mount Rinjani and Bentek village, you will find a small minority of Sasaks called the Bodha. These people are untouched by Islam and worship animistic gods, with Hindu and Buddhist influences. If you want another taste of life in Lombok, visit one of the traditional markets in or around Mataram. This is the island’s capital and has some old Dutch colonial style buildings and lovely Hindu temples. At the old port of Ampenan you can shop in the local markets for fruit, vegetables and other foods. If you want to buy handicrafts or souvenirs, Cakranegara is the area to visit. 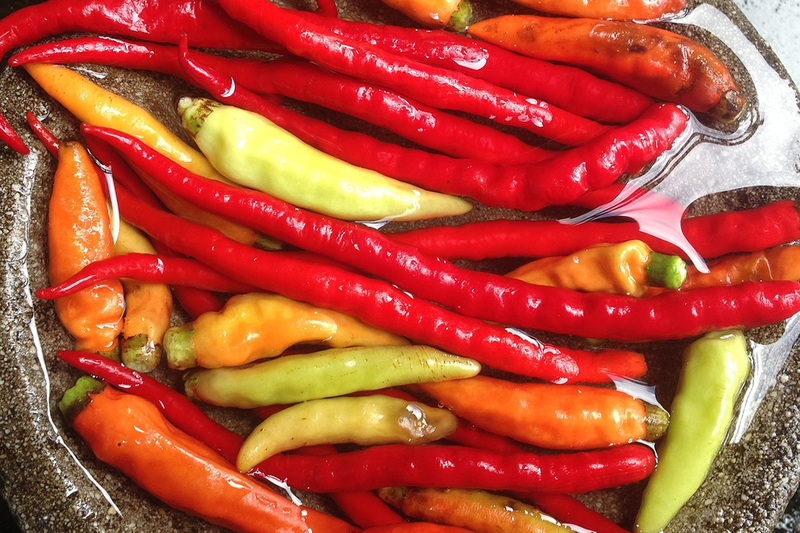 While you’re on Lombok you must try some of the delicious local dishes. One of the favorites of locals and foreigners is Ayam Taliwang, a grilled or fried chicken coated in spicy chili paste. Taliwang is usually served with steamed greens and crunchy peanuts. Another much-loved dish is Satay Rembiga. This is cubed beef skewered and cooked over hot coals. This is usually served with warm cakes that have been cooked in banana leaves. If you like your food with a kick ask for some spicy sambal on the side. Gili Trawangan is an incredible place to stay. You can have the paradise island feel and also organize day trips to Lombok easily to see the nature, culture and cuisine of the region. Which part of Lombok would you most like to explore? Let us know in the comments below.